Before he rose to chart-topping status as an artist, Wallen scored his first #1 hit as a songwriter with Jason Aldean’s hit, “You Make it Easy.” He has also been nominated for Breakthrough Artist-Writer of the Year at the 2018 Music Row Awards. Wallen is currently opening for Luke Bryan’s What Makes You Country Tour. Wallen has also co-written songs for Kane Brown, Dustin Lynch abd A Thousand Horses. 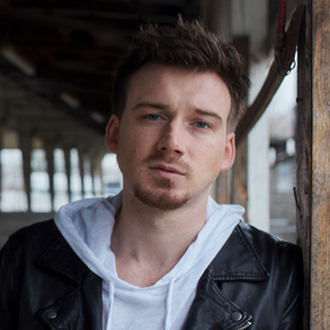 We are pleased to do this new Q&A interview with Morgan Wallen. He talks about his first chart-topper, learning to become vulnerable with his songwriting, and keeping it real with Luke Bryan. BC: You’ve had a great run with your hit, “Up Down.” How did that song come about with Florida Georgia Line? BC: What was it like when you stepped out on stage with these guys the first time to sing the song? Wallen: The most memorable for me so far was playing the CMA Fest stadium. There was probably about 55,000 to 70,000 people. You don’t really know when you go into a situation like that…you don’t know what to expect. I’m still pretty fresh and new and not everyone is aware of me yet. But, man, we went out there and sang it and the whole crowd was singing with us. It was one of the coolest moments of my life so far. There was an awesome energy that was injected into that stadium, and we had a blast. BC: Another cool moment must have been when Jimmy Kimmel presented you with a gold plaque for “Up Down.” Can you tell me about that experience? Wallen: It was a complete surprise. I wasn’t even thinking about something like that. It was about 30 minutes before we went on stage on national TV, and you have a lot going through your mind. They said Jimmy comes in and talks to people before they go perform, but just for a second was what I thought. He keeps on hanging around. [I’m thinking] Dang, he must think we’re cool or something (laughs). But he was just waiting on the plaque to get in there to present it to us. That was awesome. BC: You wrote several songs for your debut album, If I Know Me. 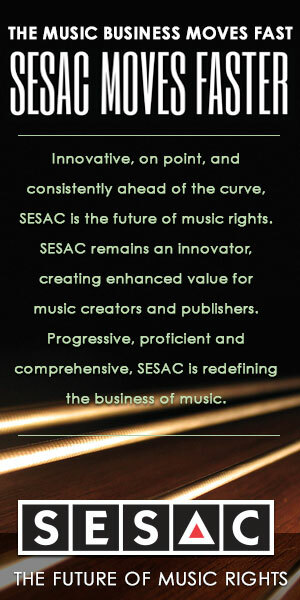 How does the songwriting process work for you? Wallen: I’ve only been writing for about four or five years now. I’ve hit a good stride, although I still think I can learn, I think I can be better. It’s fun. There’s no real certain way that I go into it. I feel like I found a good crew of guys that I really love writing with, and it took me a while to find that match. We’re good buddies now, which really helps me. You don’t hold anything back when you’ve got your buddies. You have a good connection and energy in the room that really makes a difference. We kind of half B.S., and half write a song, and that really helps. The Nashville way of co-writing is to show up at 11 in the morning and try to have a song done by 4:00 p.m. That’s all great and works for a lot of people, and I still do that to an extent. I still love to write with good people. It has really given me a lot of inspiration to have my buddies and write with them. We all have similar lifestylesm and we have a lot of things in common. A lot of times when we write, we’ll cover a conversation we’re having that day or a conversation we’ve had in the past, or something we’ve all been through and share those same experiences. That’s something I’ve come to realize that I really value, having your friends to be close to you and write. BC: Does that make it easier to be vulnerable and open up more in a writing session? Wallen: That’s exactly right. I’m definitely not the type of person who’s going to spill my guts out to you if I don’t have a relationship with you. That’s what makes it so special to have your friends with you. I’m just now getting into it, and I just can’t wait to see where it takes us together. BC: You wrote your previous single, “The Way I Talk.” How did that song develop? Wallen: For my first single, I wanted to have a song to let the world know who I was. When I was growing up [in Sneedville, TN], I played baseball so I got to spend some time on the road, but most of the time was in the South. I didn’t get to really experience any other culture. I think I was 19 or 20 when I got to spend time in California and start traveling a little bit. I got to see how different the world can be. I think it’s a great thing that we have different cultures, but it helped me realize how proud I am of mine and how much I value how I was raised and the things that I believe in and the things that I love. I think a lot of people are proud of who they are and where they’re from, and that’s kind of what that song meant to me. BC: You had another #1 song as a songwriter with Jason Aldean’s “You Make it Easy.” How did that come about? Wallen: Me and the guys from Florida Georgia Line wrote that together on the road. They have a writers’ bus that they bring out with them. They own a publishing company, and they have writers that come out. We’re in the back lounge, and Tyler (Hubbard) said, “I was thinking how difficult this artist life can be on a relationship, and how it’s not necessarily structured and made to be for that.” But he has a wife and kid now. He was talking about how she made it easy for him. We looked at each other and was like, “Man, that seems like that can be a sentiment of a song,” and we ended up making it the hook. The song came in probably a couple of hours. It was one of those days where we just got on a roll, and it seemed like everything came to us. We all had a great time doing it. After we wrote it that day, we played a show that night. We came back to the bus and listened to it, and we all felt like it was something that was special. I had thought of keeping it for myself that’s for sure, but Tyler showed Jason (Aldean) the song, and apparently by the end of the first chorus he was like, “Man, that’s going to be my first single off my next record.” When a guy like Jason Aldean says something like that, you say “Go ahead” (laughs). BC: How’s the tour with Luke Bryan going? Wallen: It’s the biggest thing I’ve gotten to do so far in my career. Luke’s awesome, and his team’s awesome. I’ve heard a lot of people say that Luke is the same guy that he was when he first started…I can 100% see that. He’s just a good ol’ boy, and he has a great time performing, and feeds off of people. I think that’s the most important thing that I’ve taken away from his performance so far is seeing his transparency with the people. I think whatever the quality is that makes you yourself, if you let those true colors show through on stage, I think that’s what makes people really get it. I came from a little baby town in East Tennessee, and I still feel like I’m pretty much the same person, and I hope that I always will be. I think that people can really relate to that, especially if you keep it in your music as well. I always write honest things. That’s one thing I’ve seen from Luke. He’s 100% of himself on stage, and that’s really cool to see. BC: And that’s what you want to see out of yourself. Wallen: It really is. I’ve never wanted to go on and necessarily put on a show. Obviously, you’re putting on a show but you don’t have to in a personal way. You can sing a song that hopefully you believe, and you can go on stage and not feel pressured to be something different, or to feel like you’ve got to change something that you’re doing. You can be yourself. At that point, you’re really into the music as well. It’s not just the crowd; it’s the music and that’s what brings us all together obviously. If I were modeling something after Luke Bryan, I definitely can’t shake my hips like he can, so I’ve just got to be myself (laughs). BC: Where would you like to see yourself a few years from now? Wallen: I’ve never been the type of person that created a seven-year plan or whatever they call it. I moved to Nashville with big dreams and high hopes, and I felt like it was very possible. I really believe that me and my team have the capability to last and stick around in this genre. As long as we’re getting to play in front of people, and as long as we’re all working and we’re all having fun, as long as that’s the case, I’ll be 100% happy.